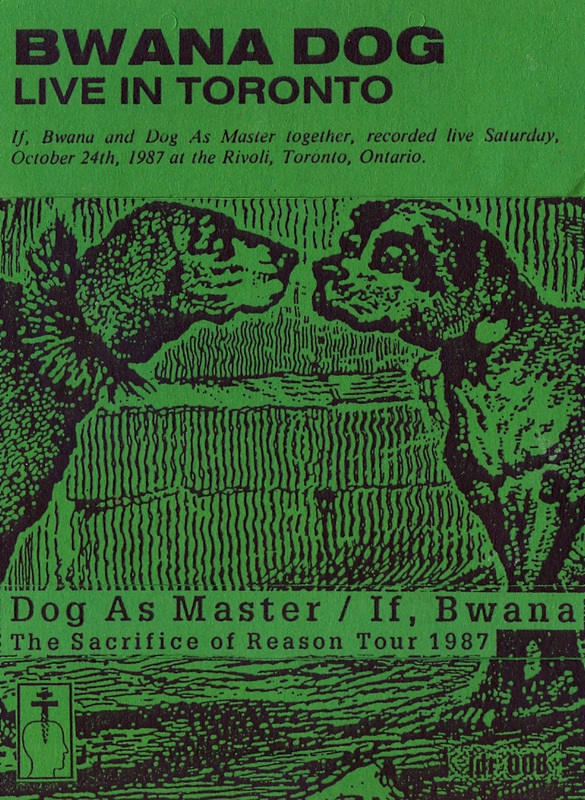 A live recording by Bwana Dog - Al Margolis (If, Bwana) and Hal McGee (Dog As Master), Saturday, October 24, 1987. Dark ambient industrial experimentalism with a touch of psychedelia. The first set we performed consisted of four tracks of harsh dark experimental psychedelia - with McGee doing abstract voice text poetics and processing his voice with a Casio SK-1 sampler, and Margolis on bass guitar and effects - along with tapes. 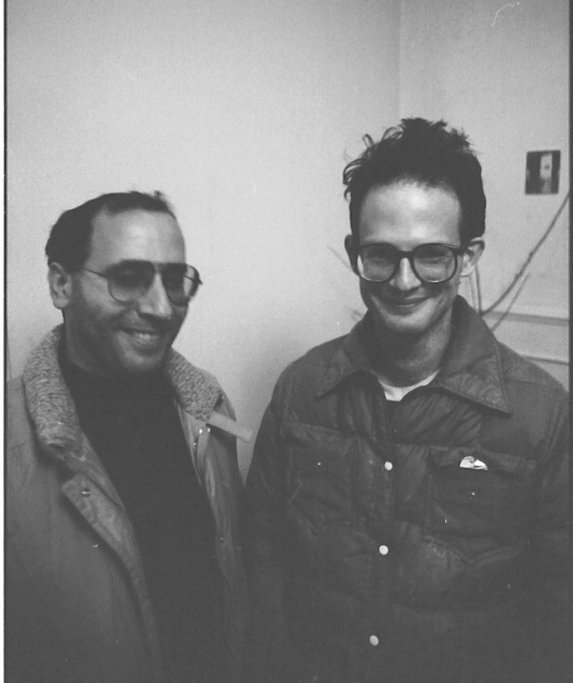 The second set we created free form ambient experimental electronic improvisations with Margolis on bass and effects, and McGee on Moog Rogue synthesizer and effects. 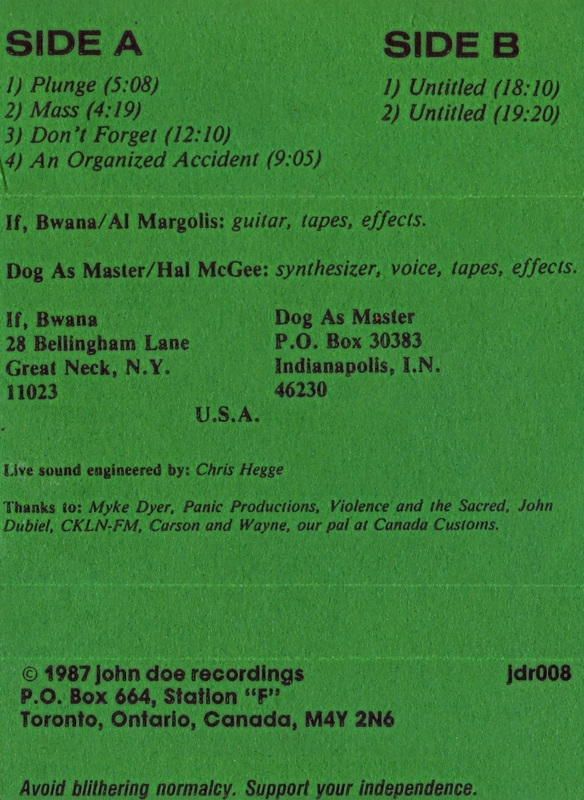 Originally issued on C71 cassette by Myke Dyer's John Doe Recordings label of Toronto, in 1987. "I was at that show. I have no idea why, but I was thinking back to some of the industrial shows I frequented during that period, and one of the lyrics you sang in one of the songs-- something like 'mankind tears and rips and eats the flesh of a still struggling animal' came back to me. Brilliant."